Having a good health insurance broker is important. After all, they’ll be helping you pick the plan you’re likely to have for a year or more. The decisions you make with them can have significant impact on your health, wallet, and quality of life. But how do you know if your broker has the right stuff? Reputable health insurance brokers get paid on commission. So if yours is asking for money from you upfront, run! 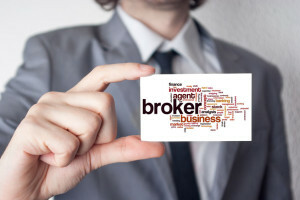 Not only are they unlikely to be a good broker, but they may not even be a broker at all! Smart brokers are already very familiar with the health insurance plans being offered. Of course, plans can change from year-to-year. So it’s not uncommon for brokers to have to look up new information about it, or say they’ll get back to you with answers. However, if your broker has to look up every little detail about the plans you’re interested in, they may lack knowledge in that area – and others. It’s not just enough to know about the plans being offered. Your broker should be able to EXPLAIN them to you, including things like maximum out-of-pocket expenses, co-pays, premiums, deductibles and more. ⇐ Do you need a health insurance broker?